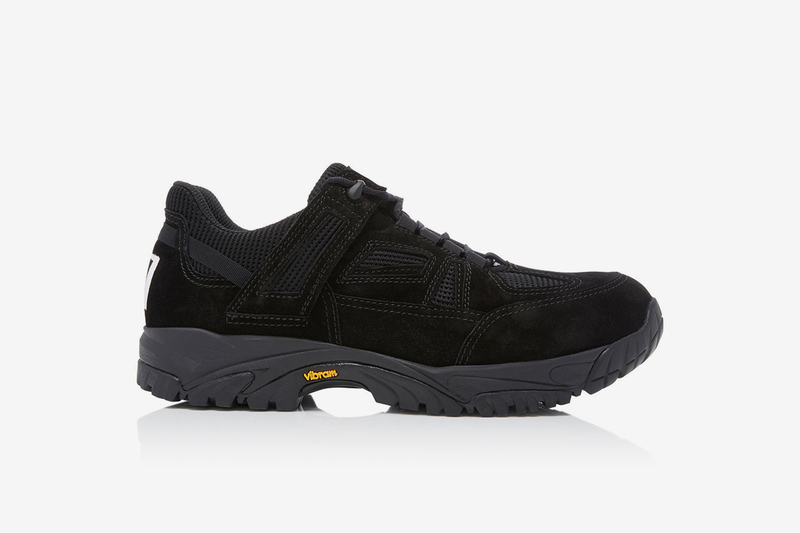 Key Features: The low-top sneaker is all black with a chunky rubber sole and paneled suede on its upper. 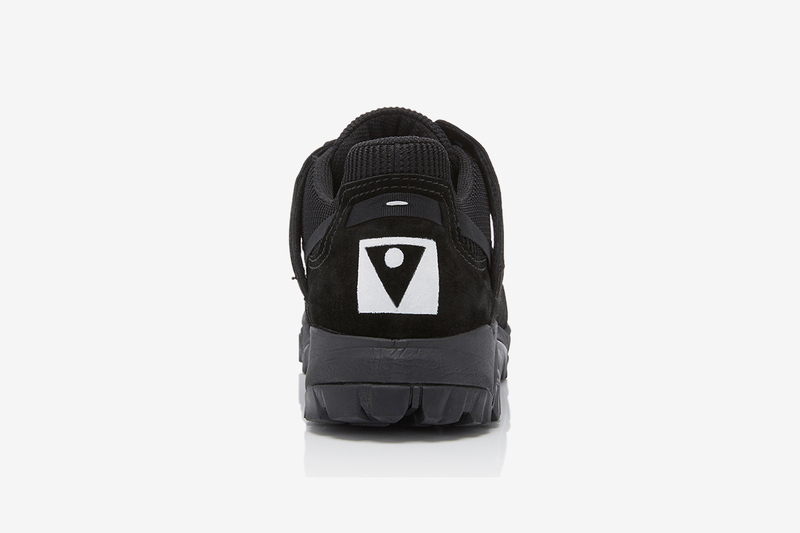 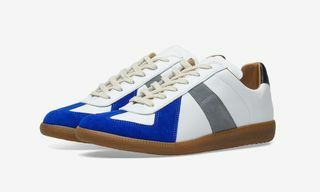 Margiela’s signature white stitch and logo are located on the heel. 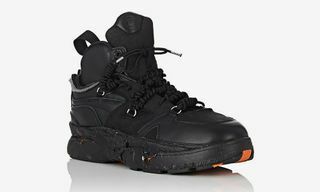 Editor’s Notes: First presented as part of the French fashion house’s AW18 menswear collection at Paris Fashion Week Men’s, this all-black colorway places the Security silhouette firmly in the territory of the dadcore sneakers already holding legendary status among the streetwear elite. 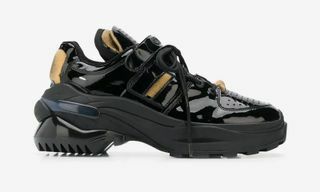 Inspired by security personnel and debuted in red, blue, and yellow, the dark, muted palate of Maison Margiela’s on-trend shoe is a worthy rival to Balenciaga’s Triple S, along with other luxe models by the likes of Gucci and Acne Studios. 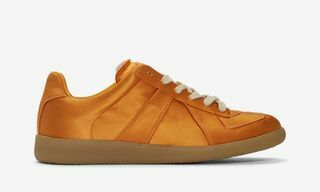 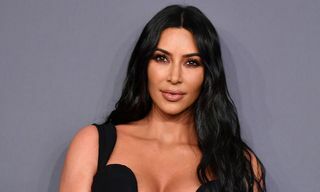 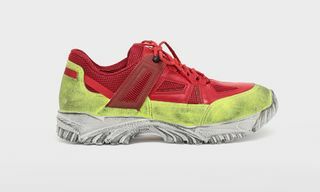 And while the Replica is no doubt Margiela’s signature sneaker, we’re willing to bet the Security will soon be competing for that title, too. 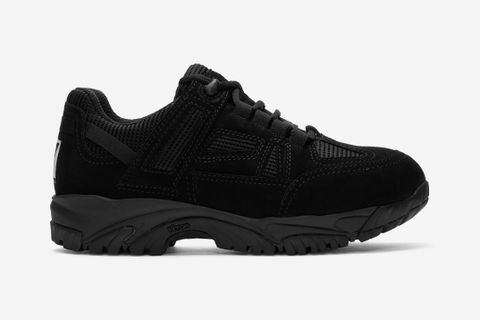 Hit up the comments section if you’re copping.